Nov. 4 — Randgold Resources Ltd., the world’s eighth-largest gold miner by market capitalization, is keen to improve relations with Mali’s government to avoid future tax disputes in the west African country. Bristow’s comments in an Oct. 27 telephone interview came the day after Randgold announced it would make a payment of 15 billion Mali francs ($25 million) to help resolve a three-year tax dispute about tax payments between 2011 and 2013. The government froze the company’s bank accounts and closed its offices in Bamako, Mali’s capital, for more than 10 days in October because of the dispute. The Malian government has brought tax claims of $144 million against Randgold’s operations in the west African nation, according to the company’s third quarter results published Nov. 3. Randgold also claims that the Malian government owes it $99.1 million in refundable value-added tax (VAT) balances. “Having taken professional advice, the group considers material elements of the outstanding claims to be without merit or foundation and is strongly defending its position,” Randgold said Nov. 3. Randgold agreed to make the $25 million payment based on the expectation of a “final and global solution” to the dispute with the Mali government, the company said in an Oct. 26 statement. Any leftover money from the payment will return to Randgold once the dispute is resolved, it added. Bristow met with Mali’s minister of finance and economy, Boubou Cisse, the weekend of Oct. 22 to discuss its payment to the government, which had demanded further payment as a condition of reopening Randgold’s Bamako offices on Oct. 21. The pair had a “constructive engagement” during the weekend meeting, Bristow said. Randgold expects to recover the 15 billion Mali francs paid to the government, he added. Mohamed Lamine Samake, a technical adviser to Mali’s finance ministry, didn’t reply to repeated requests for comment on the Randgold tax dispute. 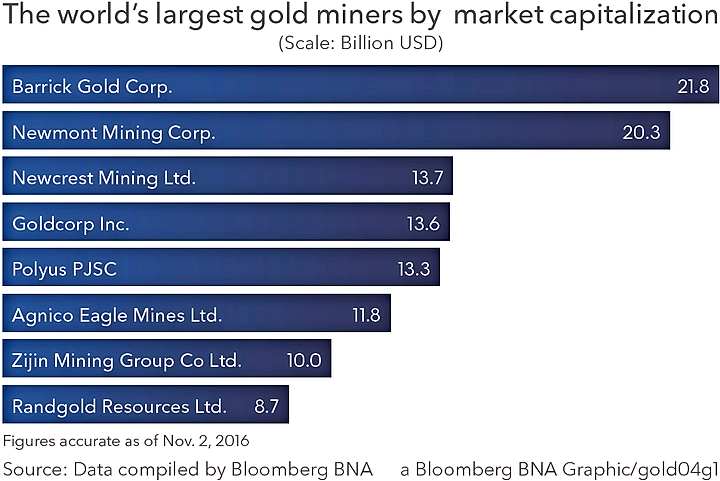 In an Oct. 27 briefing note to analysts covering Randgold, London-based communications agency Cadogan PR, on behalf of the Malian government, described the forced closure of the miner’s Bamako offices as “partially successful” as it resulted the company making the $25 million payment. Randgold still owes Mali’s tax authorities a “substantial amount,” and the government will continue to take the “necessary action” to recover it, the briefing note said without giving further details. “There are two very different accounts of what’s going on,” Bruce Whitehouse, associate professor of anthropology at Bethlehem, Pa.-based Lehigh University, told Bloomberg BNA in an Oct. 31 telephone interview. Whitehouse focuses on sub-Saharan Africa and counts Mali as a research interest. Three of Randgold’s five mines in Africa are located in Mali, the eighth-largest in Africa country by geographical area; the government owns a 20 percent stake in each one. Last year, Randgold paid Mali almost $150 million in taxes and dividends, according to its 2015 annual report. Randgold’s refund claim of $99.1 million in VAT payments follow its tribunal this year with the World Bank’s International Center for Settlement of Investment, which found that the Malian government had “wrongly collected” taxes from Randgold, but the disputed amount only reached $29.2 million. The taxes that multinational companies pay to tax authorities has become an area of increasingly global focus, largely due to the Organization for Economic Cooperation and Development’s efforts to combat tax avoidance strategies through 15 measures in its base erosion and profit shifting project, launched three years ago. Yet Nikolas Toleris, a London-based mining analyst with Mirabaud Securities Ltd., said Randgold’s tax dispute in Mali puts the country’s government in a worse light than the multinational gold miner. Gold mining accounts for 16 percent of the Malian economy, Toleris said in an Oct. 28 e-mail. Randgold, AngloGold Ashanti Ltd. and IAMGOLD Corp. are the main gold producers in Mali, and each mine is governed by a convention that oversees taxes and allows arbitration if disputes can’t be resolved, he added. 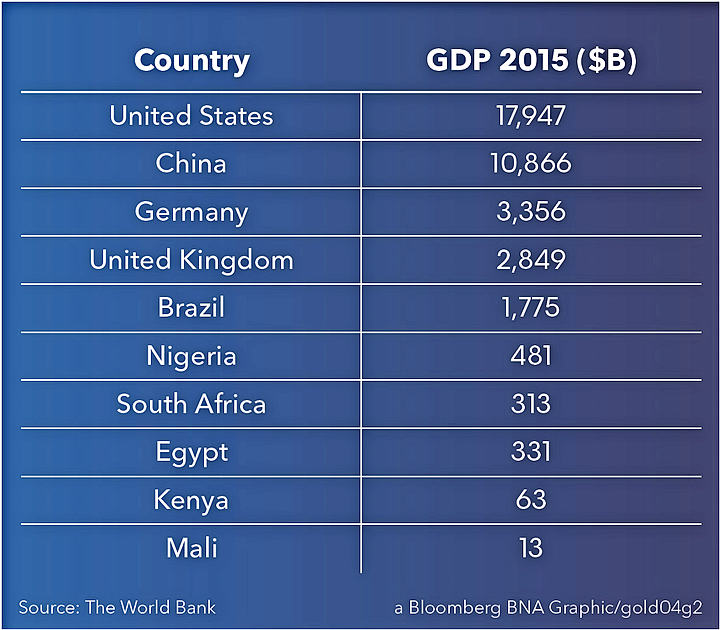 At 6.4 billion pounds, Randgold’s market capitalization is more than half the size of the Malian economy. The company’s largest shareholder is BlackRock Inc., the world’s largest asset manager, which holds a 14.4 percent stake in the miner, according to data compiled by Bloomberg BNA. Citing BlackRock, Bristow highlighted the responsibility that Randgold has to invest shareholders’ money and earn returns for them in the “challenging jurisdictions” in which the company operates. With assistance from Francois Rihouay in Bamako, Mali.